Iran has launched a new class of indigenous submarine, according to a Tuesday report inJane’s Defence Weekly. 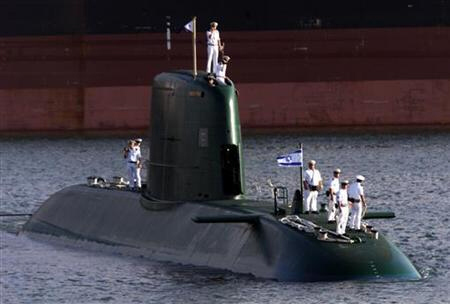 One of the suspected Fateh-class of indigenously built submarines was spotted in the water near the Bostanu Shipyard near the Strait of Hormuz on Oct. 27, according to the report. A second submarine appears to be under construction at the Bandar Anzali Naval Base on the Caspian Sea as of Sept. 27. Now that sanctions are being eased thanks to Obama and Kerry, the Iranians will have both more money to build military hardware and access to foreign goods and services. United Nations M-113 armored personnel carriers and transports participating in Iranian military pass in review. Can there be a greater indictment of the United Nations? 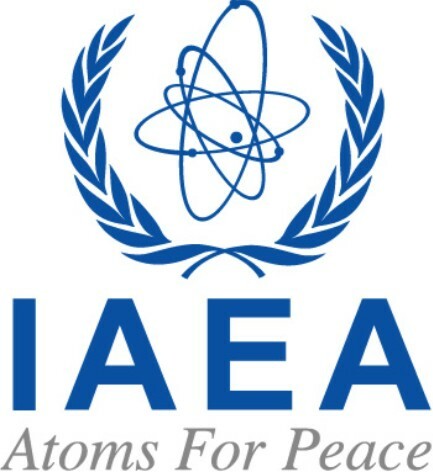 Is this the organization that the world is depending upon to watch over Iran’s nuclear program? A security pact signed in 2008 between Turkey and Iran should call into question Turkey’s membership in NATO. Given that most of NATO’s members have some level of sanctions imposed on Iran and given that Iran has attacked US and NATO forces indirectly through proxies in Iraq and Afghanistan, there is simply no excuse for a NATO member having a security agreement with the world’s foremost sponsor of Jihadist terrorism. This should not be tolerated. Turkey must be forced to choose between NATO and Iran. Fresh on the heels of Iranian President Ahmadinejad visiting New York City for his annual United Nations/Columbia University junket, Iran says it could soon send a different set of visitors. This time, the commander of Iran’s navy says he wants to send some of his warships on a deployment near US waters. 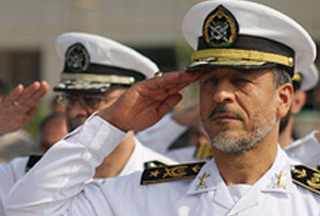 Sayyari’s comments were echoed by the commander of the separate Islamic Revolutionary Guard Corps Navy, Rear Admiral Ali Fadavi, who specified the Gulf of Mexico as the place where the Iranian Navy might deploy. Fadavi’s words came in response to a truly moronic US request to establish a “hotline” similar to the one linking Washington and Moscow to prevent any confrontation between US and Iranian forces from escalating. Who ever it was on our side who came up with that scheme should be keel-hauled. In order to deploy to the Gulf of Mexico, the Iranians would require logistical support, which would no doubt be provided by Hugo Chavez’s Venezuela. WorldTribune.com is one of the best sources for information on the Iranian threat on the web. The folks over there cover this topic regularly–and it is a topic that the so-called mainstream media seems to relish ignoring. World Tribune’s latest report indicates that the Iranians will soon conduct air combat maneuver exercises with a neighboring nation, though no one is saying who that neighbor might be. We seriously doubt Iraq would be holding exercises with the Iranian Air Force right now. For one thing, the Iraqi Air Force has next to no combat aircraft and they are currently organizing primarily with the advice and assistance of US Air Force personnel. We’re not saying that the Iraqi regime wouldn’t hold joint exercises with Iran in the future, but we doubt that they could or would hold air combat exercises with Iran now. This is almost certainly not the answer. The Kuwaitis feel threatened by Iran and their air force has close ties to the US. Still, there are plenty of Islamist Kuwaitis who hate America and cooperating with Iran is not entirely out of the question. But, officially, the Kuwaitis are not yet at a place where they would likely hold joint exercises with Iran. This might be the least likely neighbor to hold exercises with Iran. 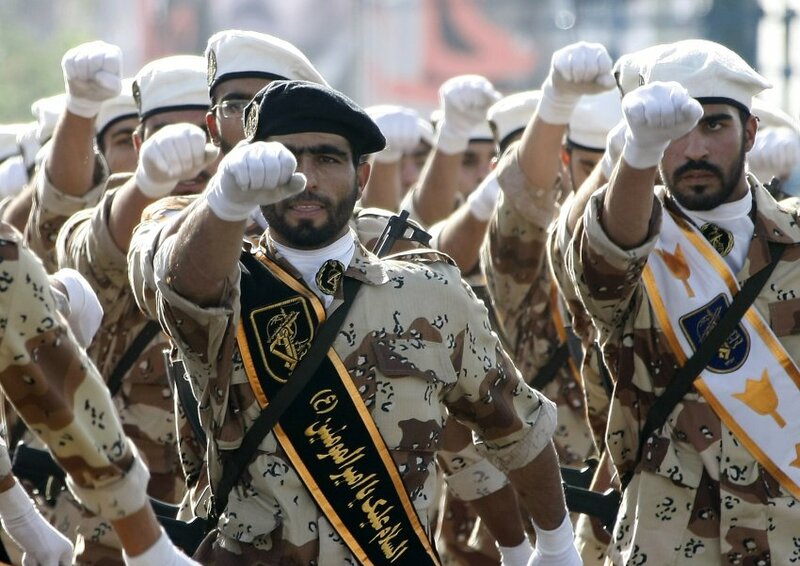 The Iranian Islamic Revolutionary Guard Corps is said to be active in supporting Shia unrest and rioting in Bahrain, which is ruled by a Sunni regime. The Shia-Sunni divide alone would not be enough to dismiss the possibility of cooperation, but in the case of Bahrain, that divide clearly involves meddling and hostility from the Iranians, who, for a variety of reasons, would like to see the ruling regime in Bahrain fall. One reason is that Bahrain is very close to the US and hosts the headquarters for the US Navy’s 5th Fleet. Now, we could be getting warmer. The UAE have been playing a double game when it comes to Iran for years, if not centuries. Dubai has long been considered a primary smuggling point into and out of Iran and that has manifested itself in recent years with lax security surrounding the illicit import of prohibited items into Iran–items that could potentially be used as components in various weapon systems. All the while, UAE officials profess to being vigilant, but the reports of smuggling are too numerous and persistent for it to be happening without someone in the bureaucracy or halls of power being involved. 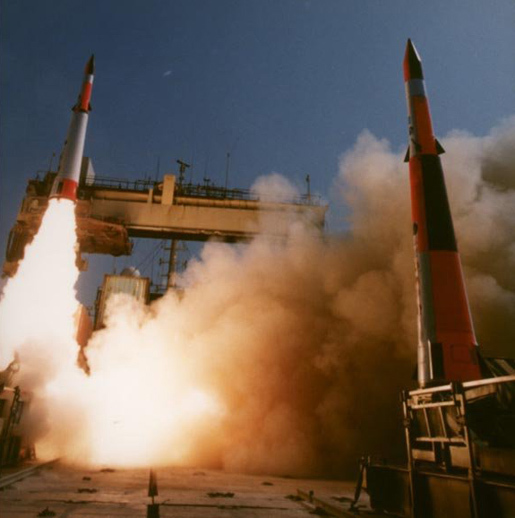 At the same time, the UAE is scared to death of Iran’s nuclear program and their reaction has been to take on the role of battered spouse, attempting to warm up to Tehran. So, it would not surprise us if the UAE were to conduct exercises with Iran. Still, they’re not the most likely suspect. Qatar might be one of our more likely suspects. They have previously conducted some non-combat naval exercises with Iran and, like the UAE, they have been playing a double game when it comes to Iran for some time. On the con side, Qatar is the site of US Central Command facilities and such close relations with the US military would seem to preclude their conducting air combat exercises with Iran. It would certainly be disturbing if it did end up being Qatar. We doubt it’s Qatar. Oman has always been wary of Iran and friendly with the West. They even let Delta Force rehearse and stage out of their airfields before the ill-fated hostage rescue attempt in Iran in 1980. We highly doubt that Oman is the neighbor in question. A likely suspect, highly likely in fact. Turkmenistan, Iran’s neighbor to the north and northeast has a small air force that flies MiG-29s, Su-25s and a few other aircraft. Turkmenistan also obtains arms from Iran, in addition to Russia and China, Iran’s two main foreign arms suppliers. Not a chance. The Afghans have no fixed wing combat aircraft. Moreover, exercises with the Iranians would be pretty outrageous at this point given the large US military presence in Afghanistan and the fact that Iran supports the Taliban. If the neighbor that Iran ended up holding air combat exercises with ended up being Pakistan, it would be a near-worst case scenario. Close military relations between these two nations is one of the last things the world needs to see. Luckily, there is no indication that the neighbor in question is Pakistan. Given Saudi public hostility toward Iran and the fact that the Saudis bankroll a lot of what goes on in Pakistan, it is unlikely that Pakistan would hold air combat exercises with Iran. On the other hand, if there are two more treacherous, two-faced nations on earth than Pakistan and Saudi Arabia, we don’t know which ones those would be. Under the theory that anything is possible, we won’t rule out that the neighbor is Pakistan, but we doubt it–and hope that it is not. Very similar to Pakistan, except that the Saudis are extremely worried about Iran on a lot of levels, so we doubt they’d hold air combat exercises with Iran under any circumstances. At some point, if the Saudis see that the West is not heading off Iran’s nuclear program, don’t be surprised if the Saudis start to warm up to the Iranians in an attempt to bribe them to keep them from causing trouble in the kingdom. Not beyond the realm of possibility, though relations between Iran and Azerbaijan are best described as “mixed.” The two countries have cordial relations, but Azerbaijan has been publicly supportive of sanctions against Iran over its nuclear program. Meanwhile, there are reports that Iran supports opposition parties in Azerbaijan. If the undisclosed neighbor does end up being Azerbaijan, which has a fairly modern and large air force by regional standards, it could signal a distinct warming of relations, something we would not want to see. Armenia has a small air force made up of just a handful of ground attack aircraft. 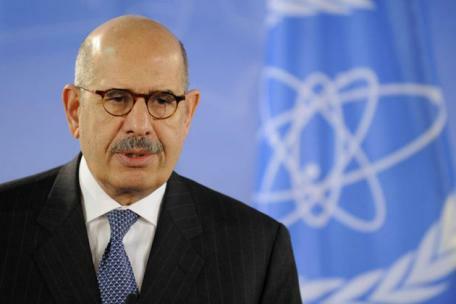 Their relations with Iran are fairly warm and it is certainly possible that they would hold air exercises with Iran. Such a development would in fact possibly be worrying for the West because currently Russia provides Armenia with air defense. This means that air exercises between Armenia and Iran could in fact cloak air exercises involving Russian and Iranian air forces. That would be disturbing to be sure. It’s certainly not Turkey, but given the trajectory of politics in Turkey, don’t be surprised to see something along these lines in the next decade or so. Iran has dug mass graves in which to bury U.S. troops in case of any American attack on the country, a commander of the elite Revolutionary Guard has said. 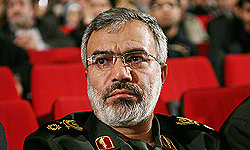 The deputy commander of the Revolutionary Guard (known at the Pasdaran), Gen. Hossein Kan’ani Moghadam, said graves for any attacking U.S. troops have been dug in Iran’s southwestern Khuzestan province, where Iran buried Iraqi soldiers killed during the ruinous 1980-88 war between the Islamic republic and Iraqi leader Saddam Hussein’s regime. “The mass graves that used to be for burying Saddam’s soldiers have now been prepared again for U.S. soldiers, and this is the reason for digging this big number of graves,” Moghadam said, according to the semiofficial Fars news agency.